During an unusual thaw in the Montana winter, I found this piece in area that had not produced at all in the past. It was a surface find in a bedrock crack and I could hardly believe what I was looking at! I still use the Gold Bug-2 a lot. 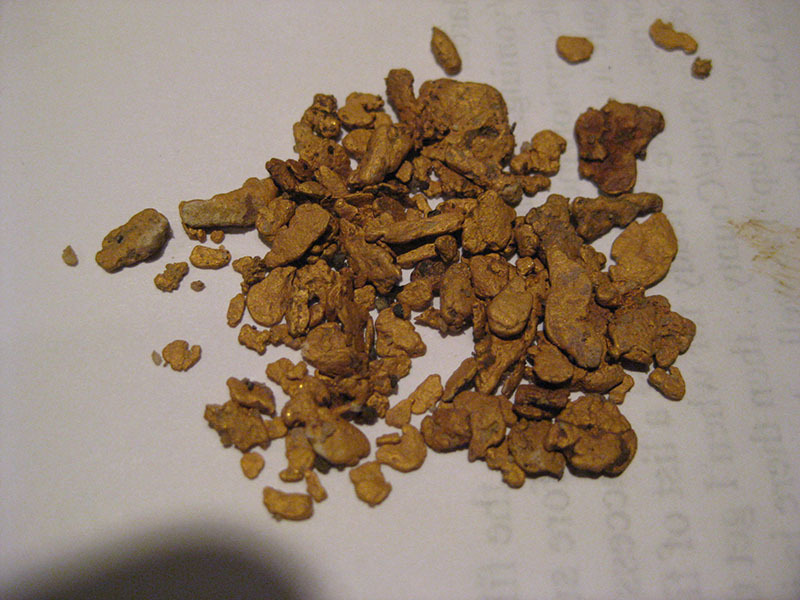 This specimen weighs 2.5 Troy ounces. At a new site I cut a trench to test for gold. My fiend could not pan any color but I grabbed my trusty Gold Bug 2 and came up with a small nugget in layer fine sand in the wall of the cut. I use this technique often with great results. 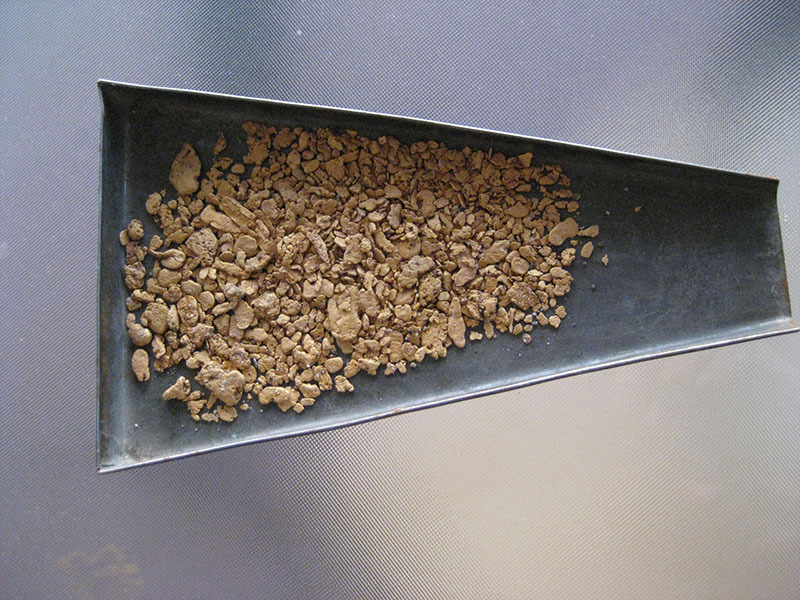 This took the project from “there is no gold here” to a spot that produced many ounces of gold. 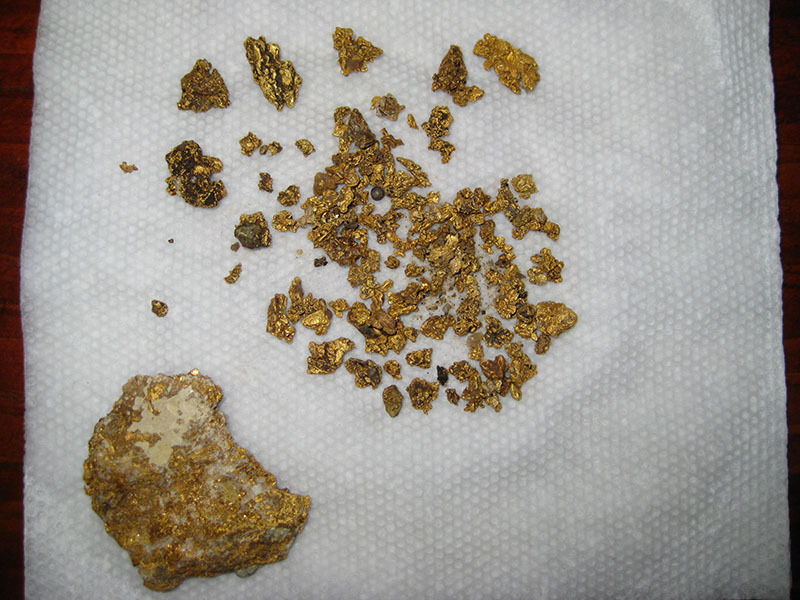 This is a picture of some of the gold produced with a wash plant as a result of the best detector on the market with ability to find sub grain gold easily. 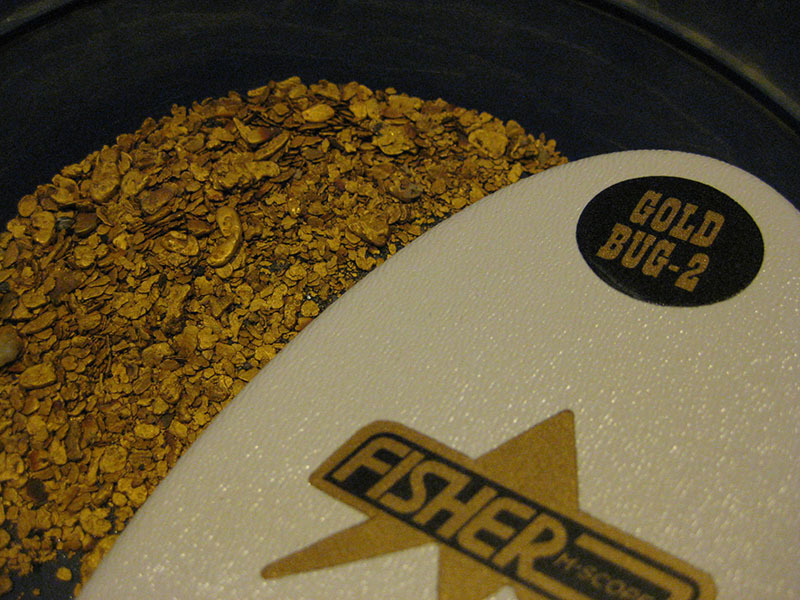 I started detecting around the time the Gold Bug-2 was first released and I am now an avid prospector. Many people ask what detector I use and I always tell them to get a Fisher! 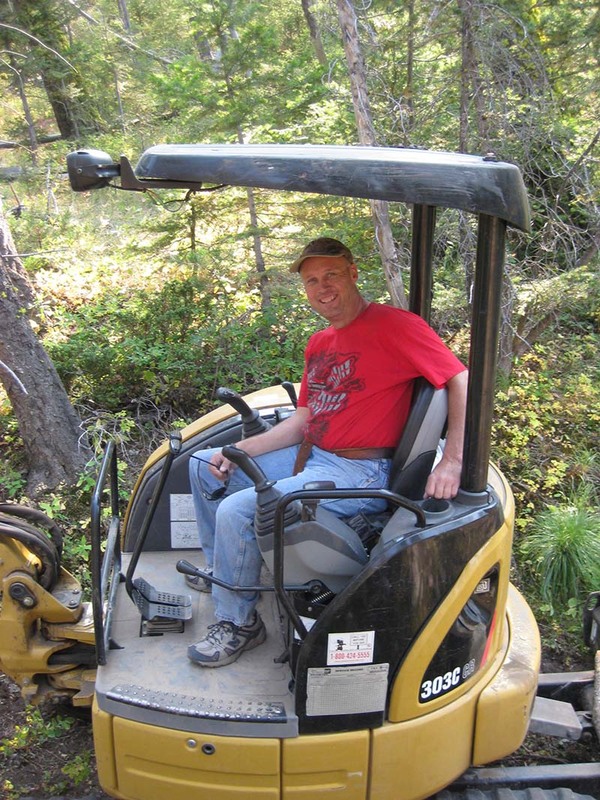 I use the Gold Bug-2 and I also use a Caterpillar 303 mini excavator to get the deeper gold, and the combination is the easy way to go and low impact. Marc from Montana. 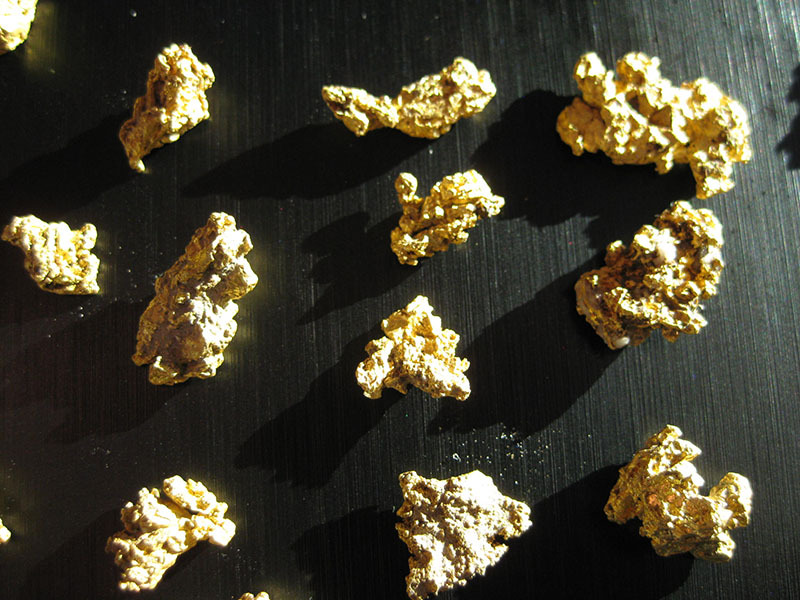 The large nugget was found in a place called nugget gulch.